The fastest and cheapest way to send money to friends or loved ones. Transactions complete fast with live updates. Visit a location today and see how much you can save. Regulated by State and Federal US Government Agencies. After your transaction you will receive a text message with your receipt to track your transaction. A text message is sent once your money arrives. LibertyPay currently allows you to send to friends and family in Brazil and Mexico. A Libertypay e minha favorita, devido a grande facilidade que tenho para trabalhar com está companhia. Fácil acesso para falarmos quando necessário ajuda, paga pontualmente, me dá melhor profit, comparando com as demais. Os funcionários são bastante educados e cordial. 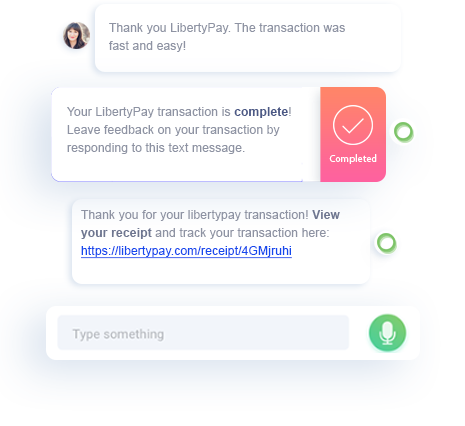 My first LibertyPay transaction I got a call from my family back home that the money arrived before I left the store! 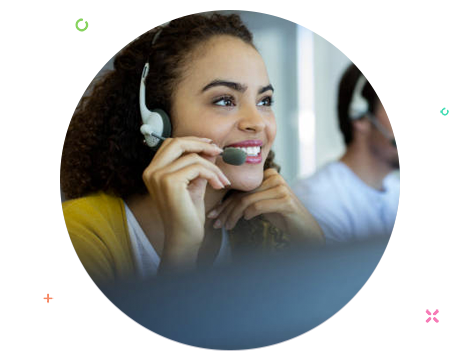 LibertyPay offers fast and friendly support via phone, email, and live chat in English, Portuguese and Spanish.